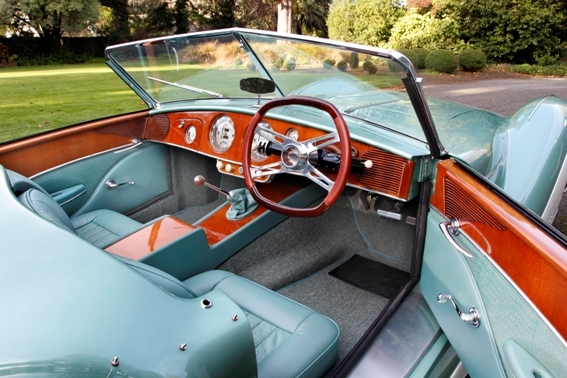 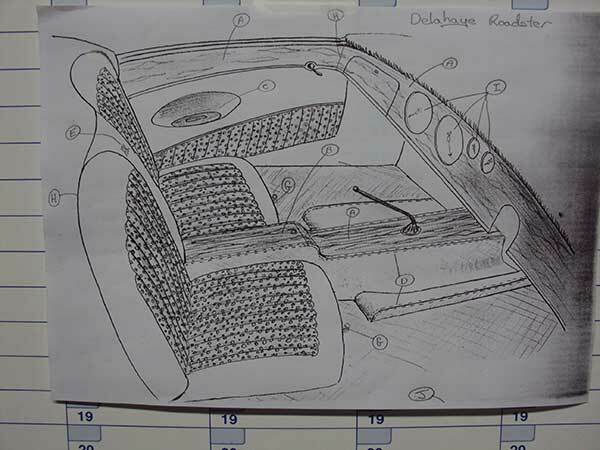 Luxury car maker Delahaye was a very early entry into the car world, with the company founded in 1894. 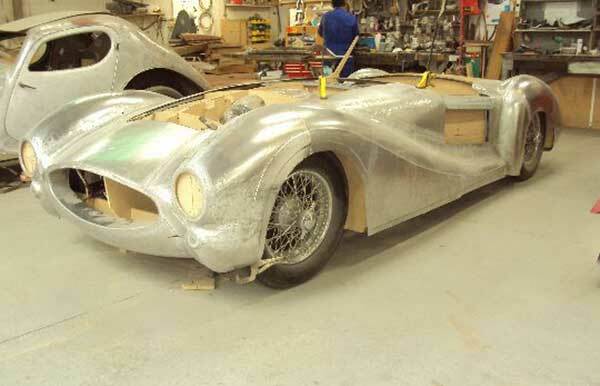 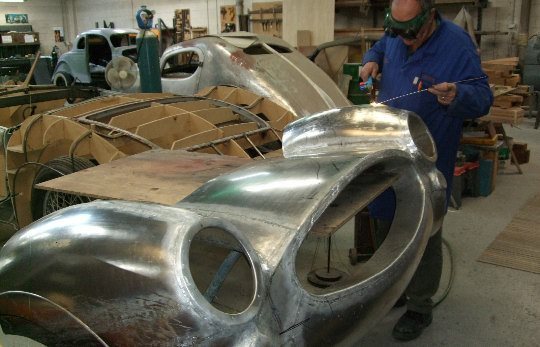 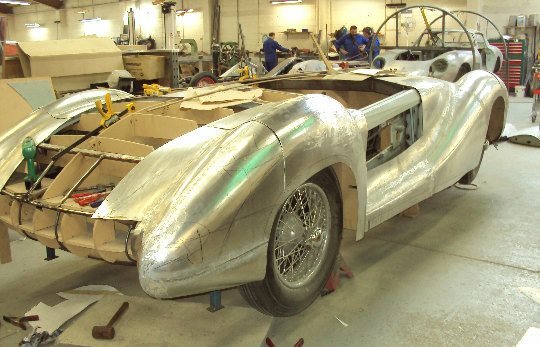 Over the years Delahaye established itself as one of the premier European luxury car makers. 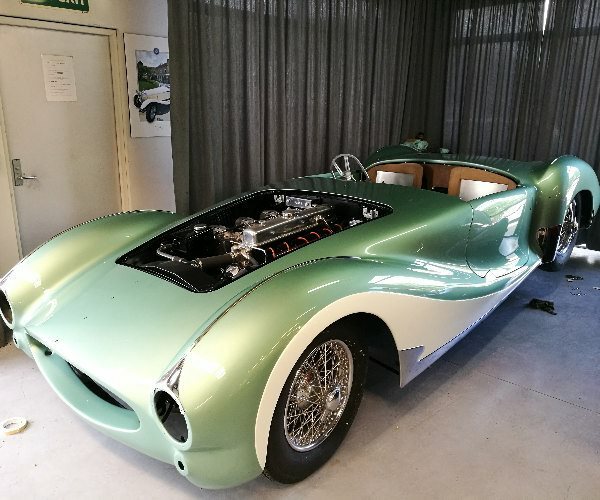 Delahaye cars were owned by the rich and famous worldwide for many years, and they had coachbuilder’s cloth them in the most flamboyant and stylish bodies of the time. 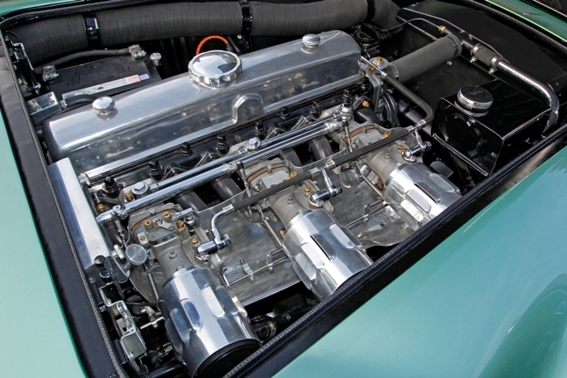 The 235 model was introduced to the public in 1951. 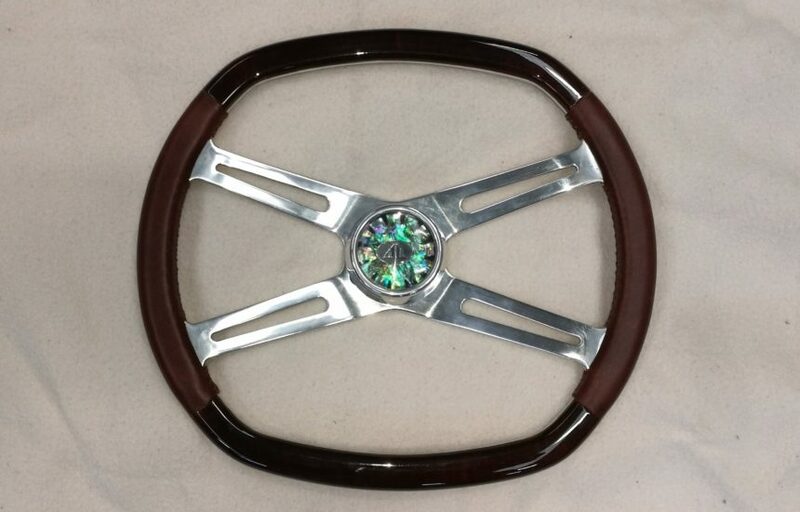 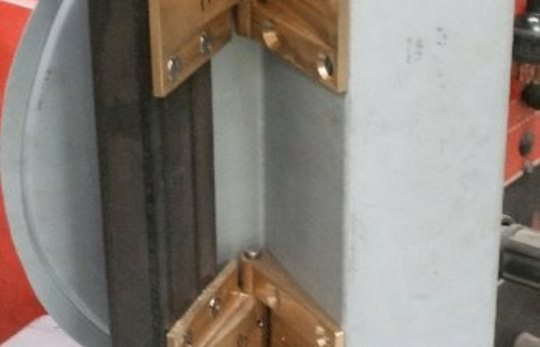 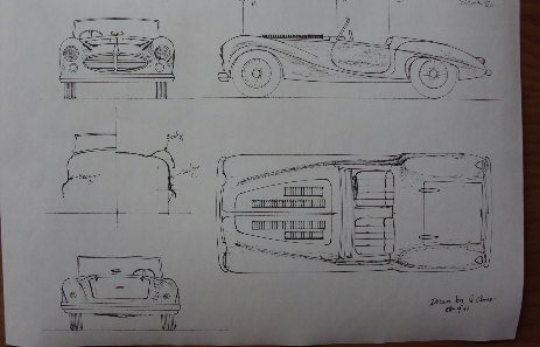 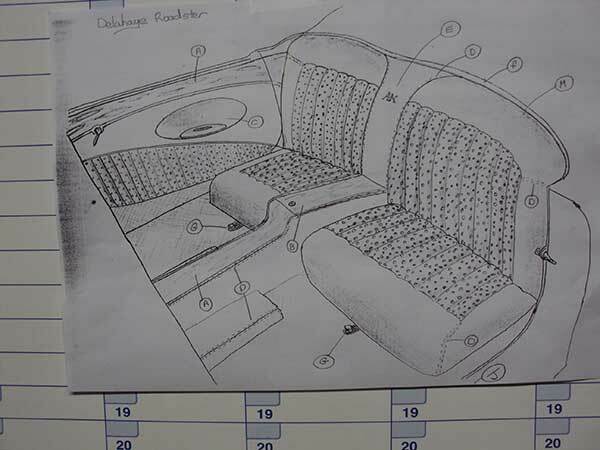 Most 235 models were sold with bodies from the “inhouse” Henri Chapron range of body styles, with a few gaining “special” bodies from alternative coachbuilding companies. 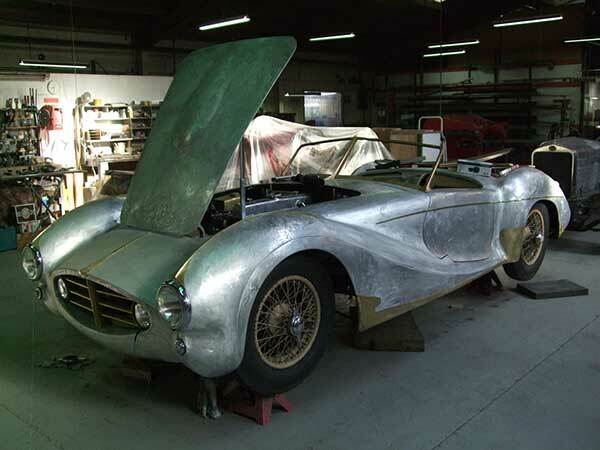 Delahaye found post war Europe to be a very tough marketplace and sales were slow. 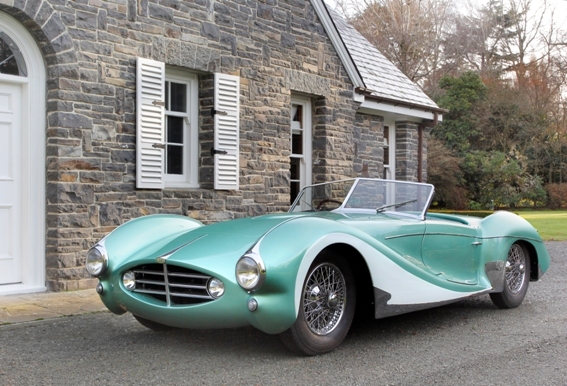 By 1954 the writing was on the wall and the company was taken over by Hotchkiss. 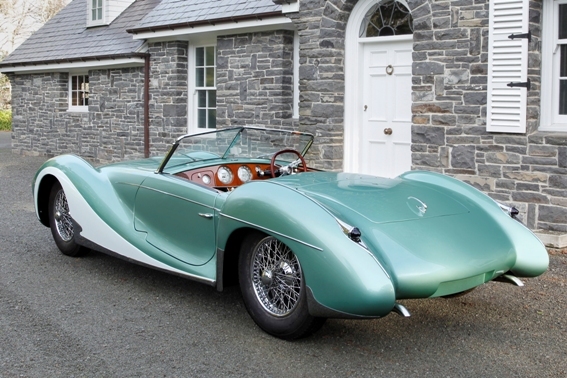 The Delahaye name from this time on only appeared on commercial vehicles and had completely disappeared by 1956. 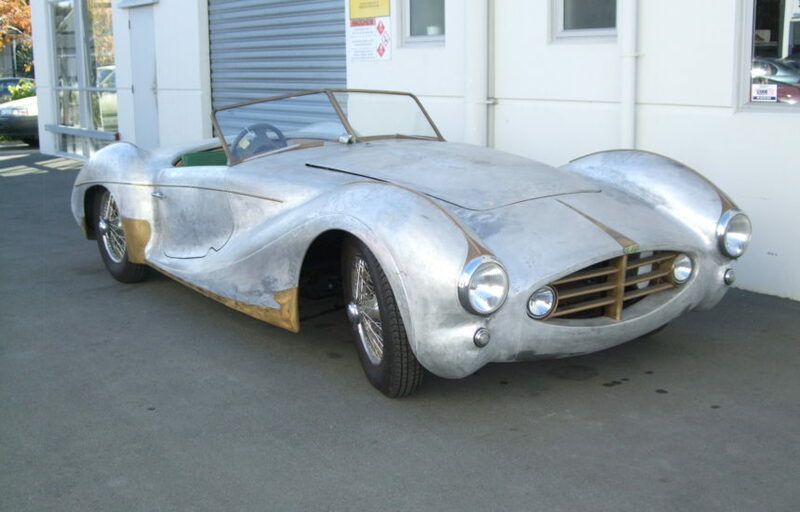 A very unfortunate end to a once grand marque. 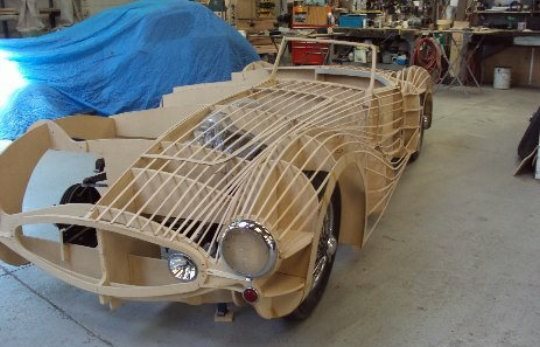 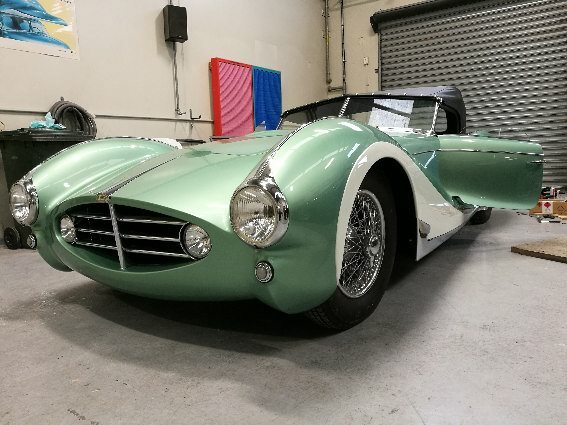 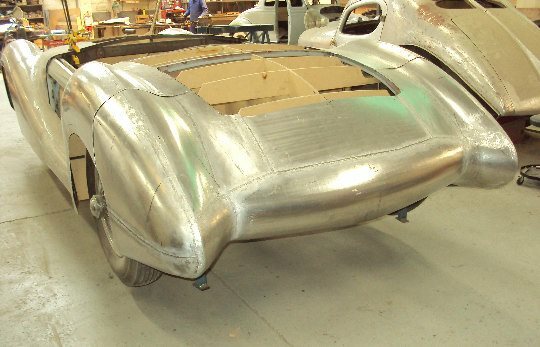 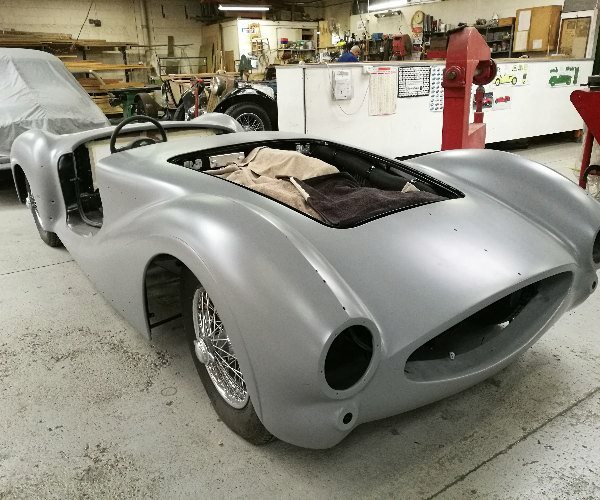 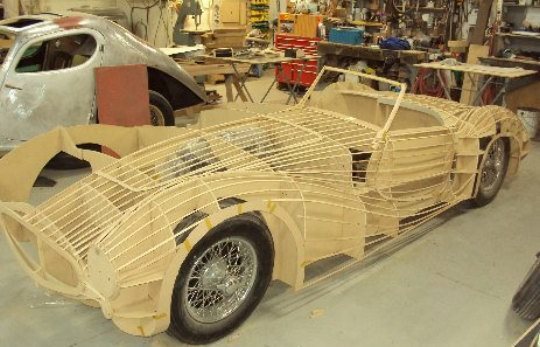 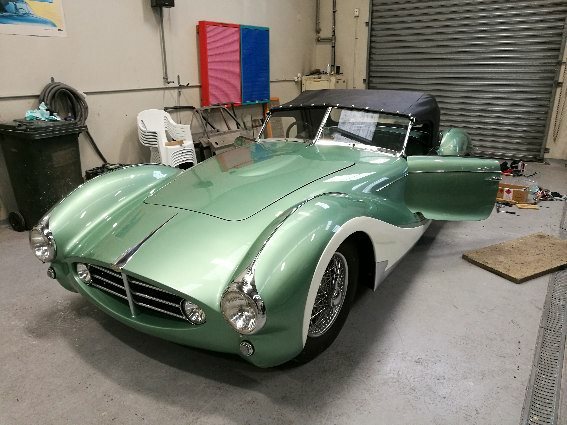 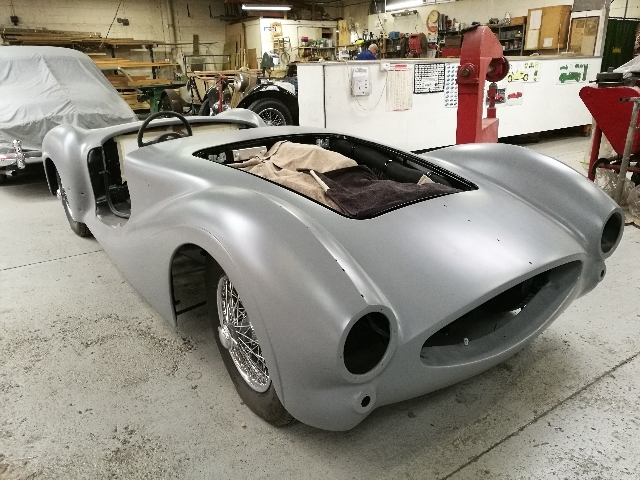 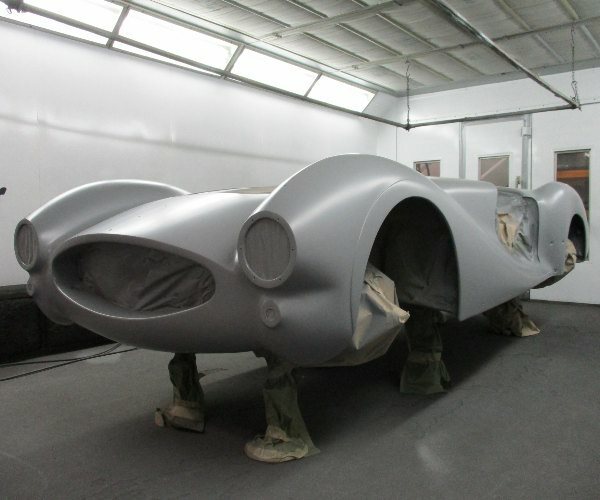 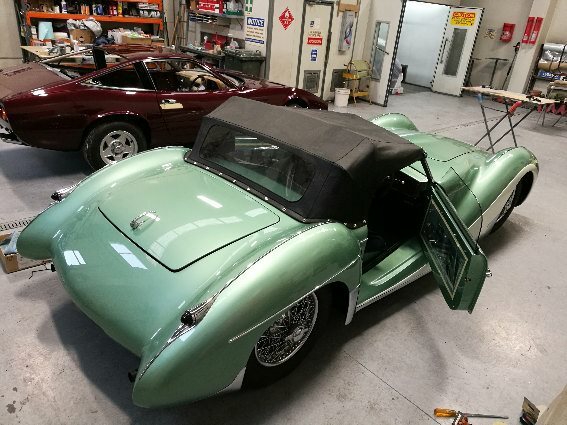 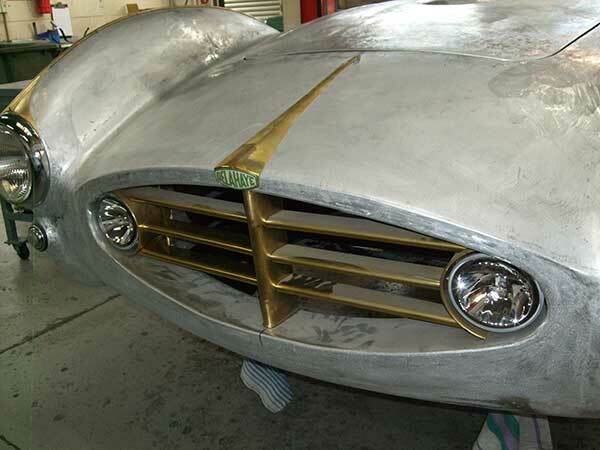 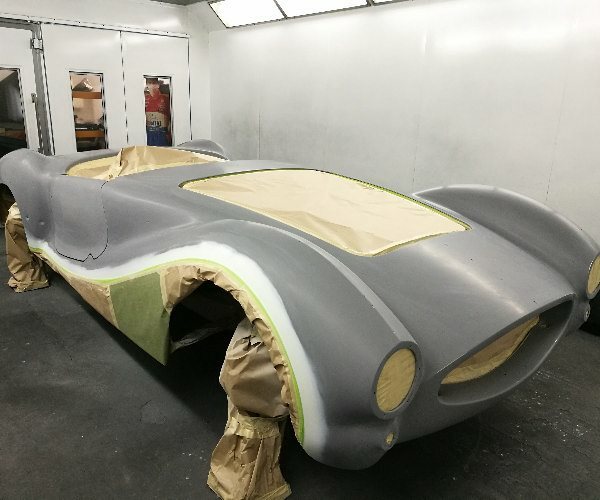 Built on an enhanced and lowered chassis, this swoopy roadster has been designed and built inhouse to very specific guidelines from our client. 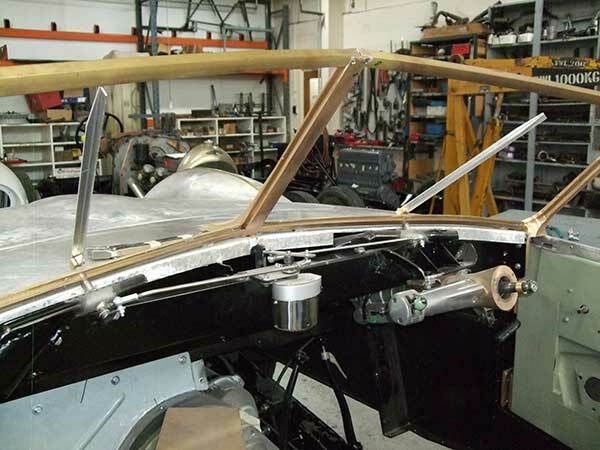 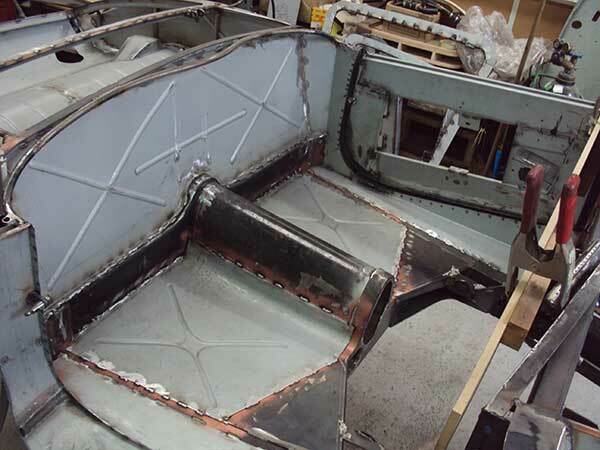 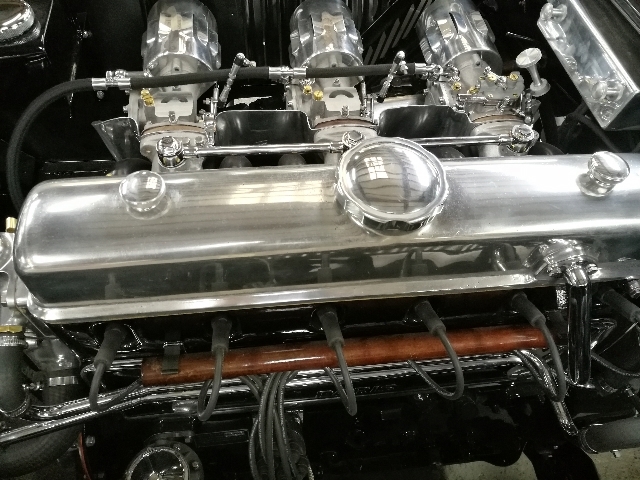 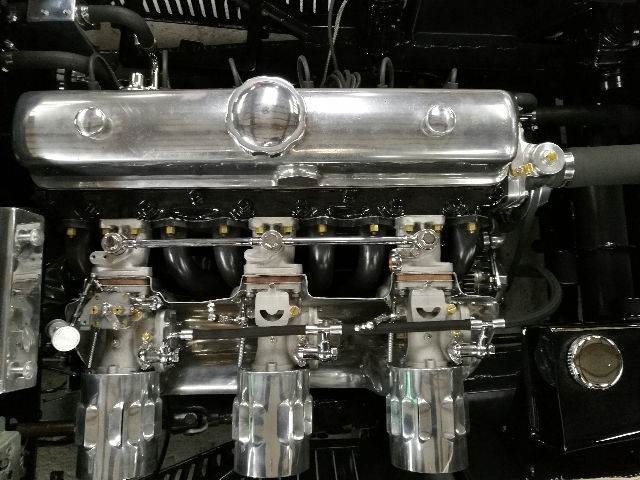 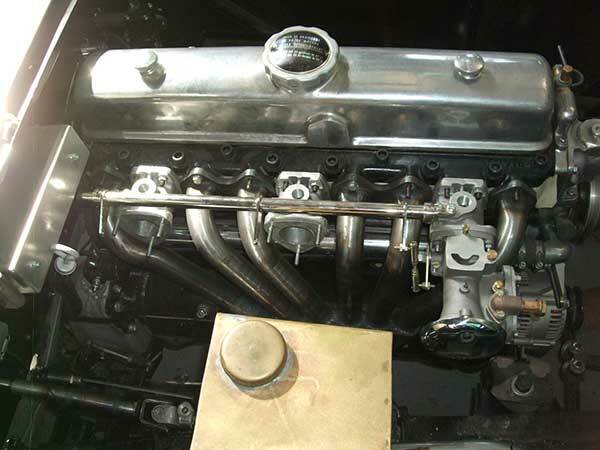 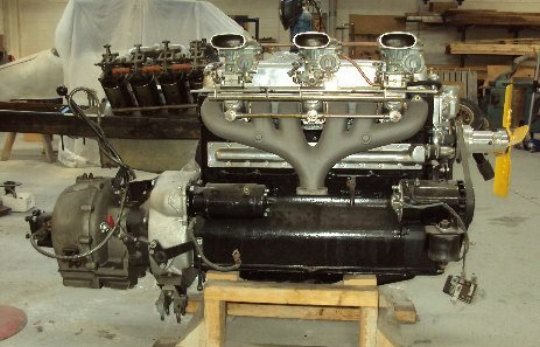 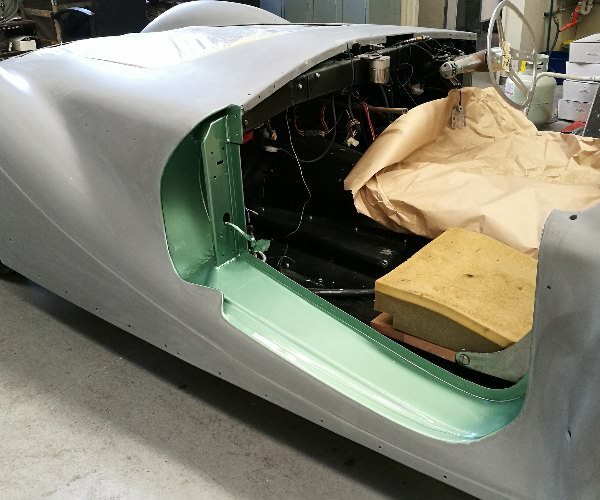 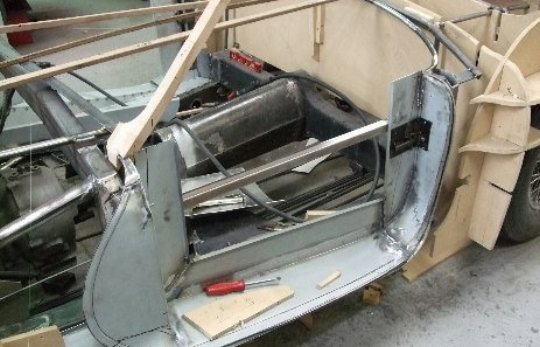 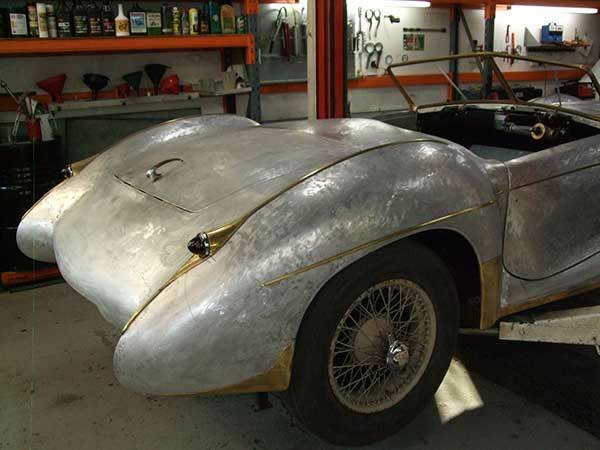 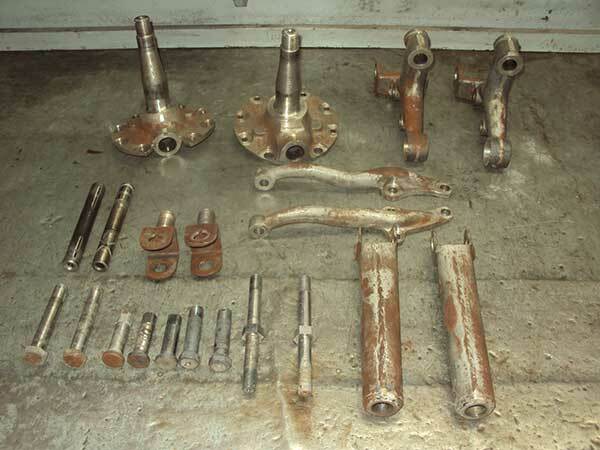 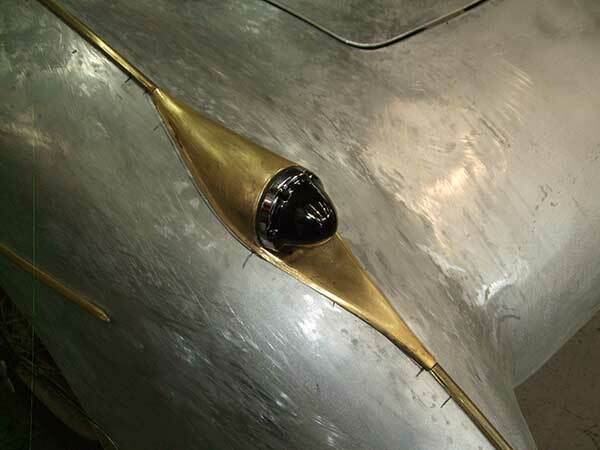 The engine has been uprated with higher compression, a performance camshaft and triple side draft carburettors, as were fitted to the racing Delahaye engines of the time. 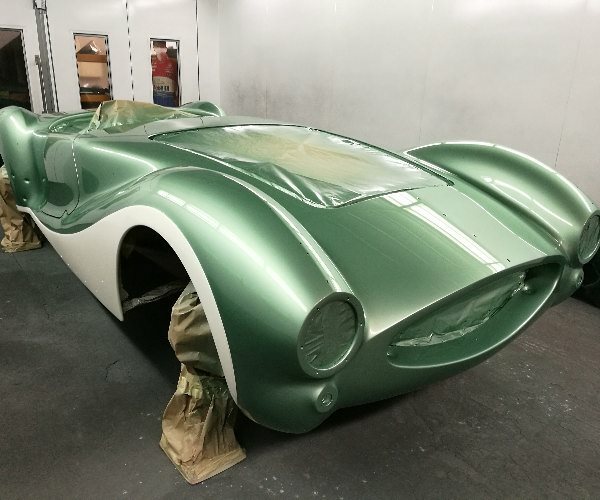 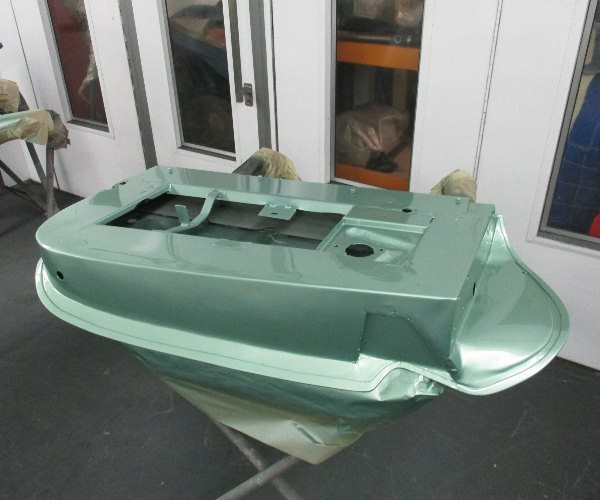 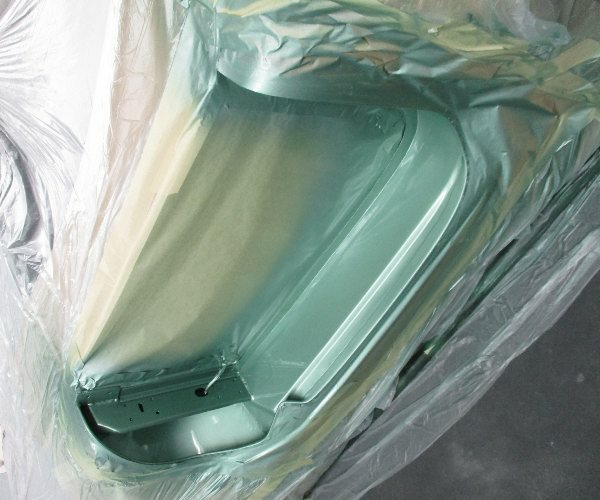 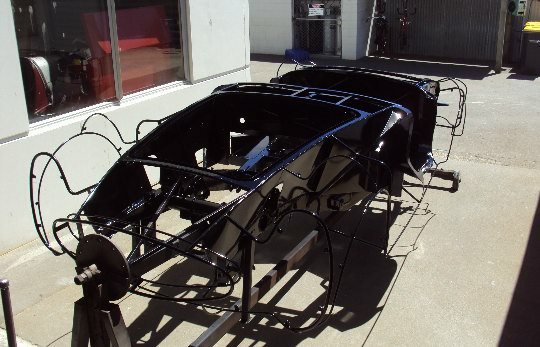 When finished in its peppermint green and cream livery, it will make quite a statement.